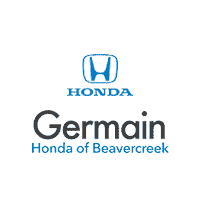 Whether you’re wishing them well on their new school year at Oakwood, Centerville, or Kettering, our team here at Germain Honda of Beavercreek wants our Dayton, OH, customers to feel at ease with the transition into the back to school routine. You know that your Honda car, SUV, or minivan is capable of offering luxury comfort and a spacious interior to minimize the disagreements in the back during drop-off, so now may be the time to think of maintenance. Nobody wants to be the person holding up traffic at school, in the drive-thru window of your favorite coffee spot, or in the carpool lane. Our service team has the experience necessary to provide your Pilot, Odyssey, and Civic the high level of care that it deserves, plus the Honda-approved parts that belong in your vehicle. We never use aftermarket parts, and we only keep a stock of the parts the OEM has used in your car. When was your last oil change, brake service, or tire rotation? If you don’t want to be embarrassed by the squeaking or grinding of your brakes as you slow to a stop outside of school, bring your vehicle in to see us soon. You kids will thank you. If you are the student, your college classmates will certainly appreciate a discreet entrance when you roll in after a fun night at your favorite local hub. Give us a call today and don’t let your car fall into disrepair. We’re here to help.